I finally did a challenge! Ruth from Makey-Cakey was our March 2013 Daring Bakers’ challenge host. She encouraged us all to get experimental in the kitchen and sneak some hidden veggies into our baking, with surprising and delicious results. I was pretty excited about this month’s challenge. Not because my kids don’t like vegetables, but because I like to add random fruit and veg to most things I make. Everything is made better with a bit of cauliflower, I say. Unfortunately, despite making a few things (largely successfully), I failed to take proper photographs of them. So you’re just going to have to take my word for it. Hidden vegies are the goods. I think because the pear was really ripe, it ended up being a super sloppy mixture and I figured I had wasted a few zucchinis. The muffins took ages to cook, plus I took them out too early, panicked and put them back in again, so they looked a bit ordinary by the end. However, to my great surprise they have been a big hit with Miss B, who is continuing to be a challenge on the lunch box front. I forgot to take photos, but they basically looked like chocolate muffins (take my word for it, please!). Next I made Pink Bread, otherwise known as Beetroot Bread. This was partly to see if I could lure Miss B through the use of pink and partly because I had a stack of beetroot to use. 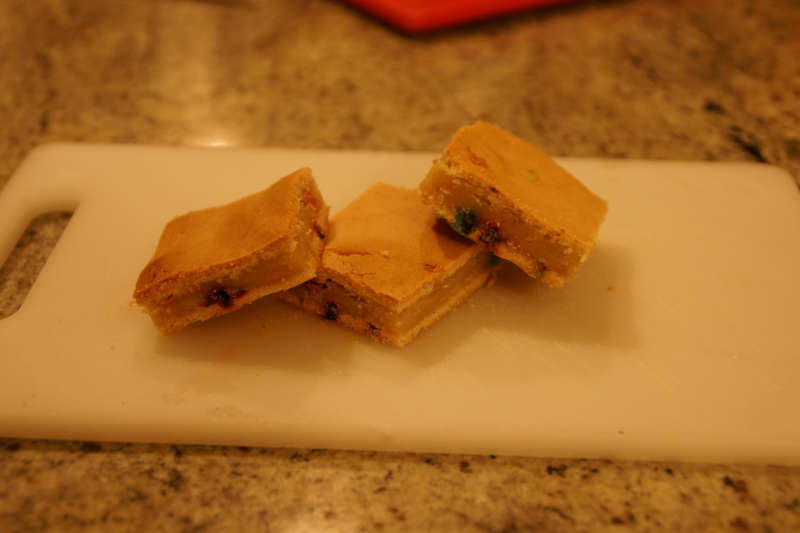 I used this recipe here, basically without alteration. It was a bit of winner. It was also unfortunate, because I made it at a time when I had committed to giving up bread, and carbs, and possibly joy. That didn’t last long. Sadly, despite being a hit with the husband and I, it was not popular with the small people. I would definitely make it again though. It was a little bit sweet but not overwhelmingly so, with a beautiful texture. Here is a picture of the loaf. I forgot to take a picture of a slice, so you’ll have to use your imagination. It was very pink. Bake for about 30 mins in a 180 degree oven. I threw everything except the chocolate chips into the thermomix and whizzed it until it was smooth before adding the chocolate chips. To my surprise, I discovered at this point that the mixture was quite delicious (even though I am not meant to be going anywhere near raw egg at the moment). To my even greater surprise, the finished product met with unconditional approval from the husband, even though he knew it contained beans. It’s also been a hit with the children. I’m not going to pretend it’s healthy – it’s still got sugar and butter – but it’s a lot better than some other treats and it whacks a big punch of fibre. Now I know this doesn’t look that tasty, but (again) you’re just going to have to take my word for it. Was beans. Was good. And I plan to sneak beans into many future baking adventures. What amazing pink bread! Really awesome 🙂 The chocolate zucchini pear muffins also sound really delicious. Thanks so much for taking part this month! Three cakes for this challenge – wow! You’re a really hardworking procrastinator! So many great things! 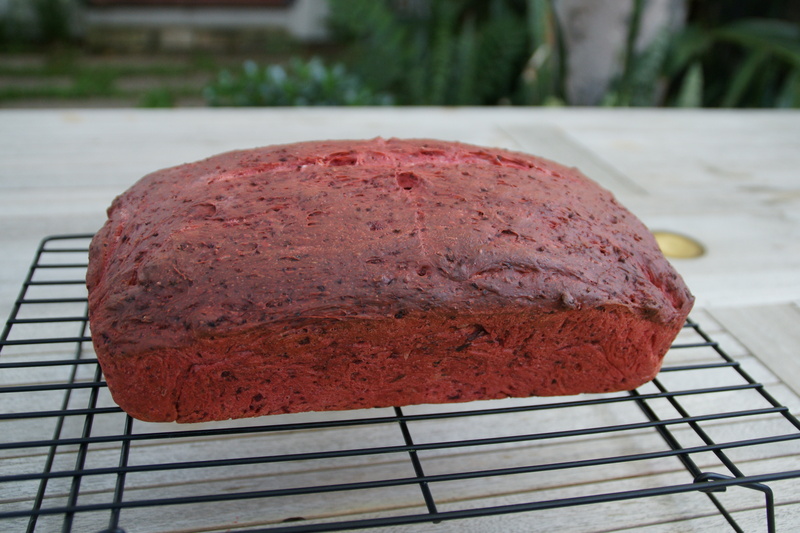 I love the vibrant color of the beet bread! Really love the look of that pink bread, and those bean brownies! I’ve made red bean ones before and loved them.